4 Facts to Know about CO Payday Loan Laws | Denver Bankruptcy Attorney - Jon B. Clarke, P.C. When money is tight and sudden expenses come up, some people may consider taking out a payday loan to help them get by until their next influx of funds. Although payday loans can be helpful in limited circumstances, however, they can also cause big problems for some people struggling with debt, possibly causing that debt to snowball out of control. To help you make an informed decision regarding payday loans, below, we have pointed out some of the most important facts to know about Colorado payday loan laws. Colorado payday loan laws define the min. and max. standards for loan terms – In fact, the laws limit the maximum loan amount to $500 and the minimum term of a payday loan to 6 months. While there is no maximum limit on how long a loan can last, by law, the most that lenders can charge in terms of financing fees is 20 percent for the first $300, with an additional $7.50 charge for each additional $100 loaned. The laws also limit the amount of outstanding loans consumers can take out – Specifically, while consumers can take out multiple payday loans back to back, they can only borrow a total of $500 at any given time. Additionally, the laws limit the interest rates lenders can impose for loan renewals to 45 percent. The laws also limits regarding the collection actions lenders can take – When a borrower has failed to repay a Colorado payday loan, the laws dictate that lenders are not allowed to take any legal action against that borrower unless the individual has closed his or her checking account prior to repaying the debt in full. This essentially means that borrowers who maintain their checking accounts and who are unable to repay payday loans will be protected from payday loan lenders’ attempts to sue them or garnish their wages. These laws apply to online lenders, as well as lenders with storefronts – And any lender who violates these laws can be subject to civil penalties. Although Colorado laws offer some significant protections to consumers who take out payday loans, the bottom line is that these loans are often not the best solution for people struggling with a lot of debt. 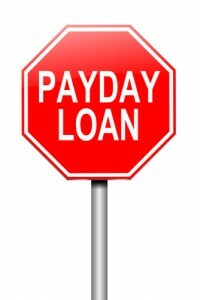 In fact, payday loans can extend or worsen people’s debt problems, especially if they cannot repay the loan on time. So, if you are considering taking out a payday loan, consult with a debt relief attorney first to find out if you may have a better, more comprehensive debt relief solution.